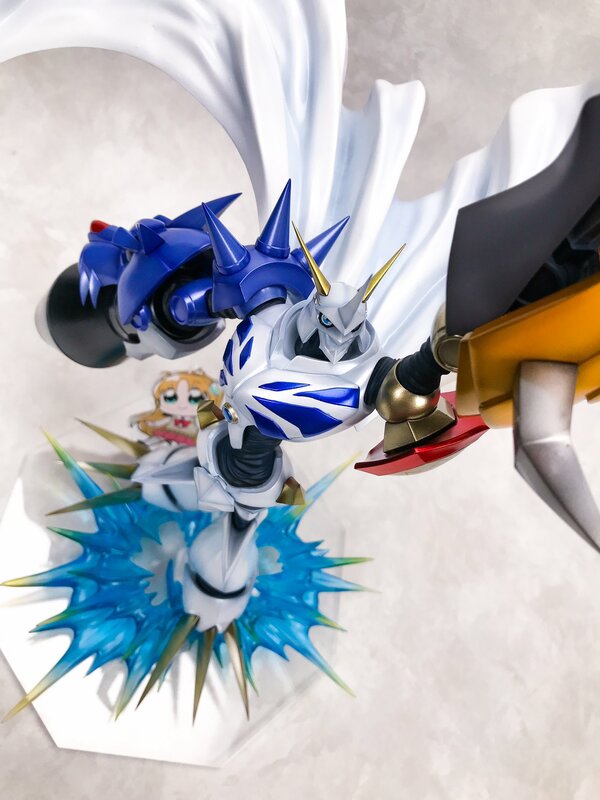 We have a great close up shot of the figure now though! The image was posted to the Twitter of Amico, a mascot character for retailer amiami, who says she snuck into a Megahouse photoshoot to take the image. It's probably, overall, the best shot we have of the figure, and a pretty nice closeup showing various details. They also comment that pre-orders will be coming soon, so no doubt more to come. Previous updates for Precious GEM Omegamon can be found here and here.